It&apos;s beginning to look a lot like Christmas! Submit your best "Temecula Holiday" photo through our website for a chance to win a prize and be featured in our marketing for the holidays! 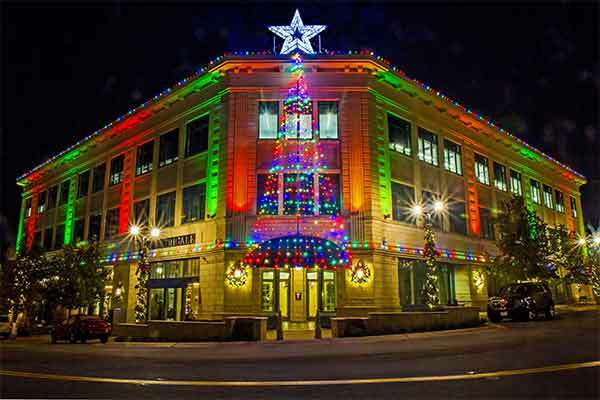 Image must be high-resolution and must show the holiday spirit. Images with watermarks or logos will not be accepted. All usage rights are waved upon submission. 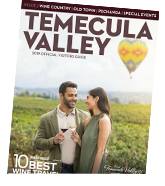 The best image of "Temecula Holiday" will receive recognition in 2020 Temecula Valley Visitor Guide. The winner will be announced after January 8, 2019. 1) The contest is open to any photographer, amateur or professional who is at least 18 years of age. Employees of Visit Temecula Valley and their family members are not eligible. Visit Temecula Valley shall have the right to publish, distribute, and display any photo submitted for the contest in any publication related to the contest, including any advertising and/or promotion related thereto, in any medium and/or format now known or hereafter devised, including without limitation print, online, mobile, digital or electronic formats, and to authorize third parties, such as syndication and redistribution partners, to further publish, distribute, and/or display related to the contest. 2) Photos must be submitted in JPG format and be suitable for magazine-quality printing at high resolution. JPG submissions must be uploaded to the Visit Temecula Valley website at www.visittemeculavalley.com/temecula-chilled/chilled-photo-contest/. Each image submitted must have a caption that provides a full description of the subject or event, including where it was shot. Images may not be manipulated, collaged, or altered beyond minor retouching, such as minor changes to brightness and contrast and saturation. 3) Visit Temecula Valley shall have no responsibility or liability in the event any contest entries or image files are lost or destroyed. By entering, entrant agrees to abide by these rules. 4) Deadline: Entries must be uploaded to the website by midnight local time on January 4, 2019. The photo contest administrator may decide to extend the deadline. The winner will be asked to send Visit Temecula Valley a short biography, a color photograph of himself/herself and details of the winning photo. The winner will be required to sign and return within 15 days of receipt an affidavit of eligibility and release. Publication of images of photographers will be contingent upon receipt by Visit Temecula Valley of a photographer’s affidavit of eligibility and release. Such a release shall authorize Visit Temecula Valley to use the photographer’s name, likeness, biographical information and/or photograph for the purposes of news and information as well as advertising, publicity and promotional materials. 5) Judging: Photos will be judged by a panel of top professionals in travel and tourism. Photographers’ names will not be provided to the judges, but descriptions of the photos that accompany entries will be made available. Winning photograph will be selected purely on the basis of skill, as opposed to chance. The decision of the judges is final. 6) By entering the contest, the photographer represents and warrants that he or she has the power and authority to submit the photographs entered and to grant the rights herein and that all photographs submitted shall not infringe any copyright, trademark, trade secret or invade or violate any right of any person, including without limitation any privacy or personality right, infringe any other proprietary right or contain anything libelous or obscene. Photographer agrees to submit photo release form to Visit Temecula Valley for any and all person(s) in photographs. Prizes are not substitutable for any other item by winners and may not be transferred or assigned. 8) Void where prohibited or restricted by law. Winners are responsible for all taxes on prizes. All federal, state and local rules and regulations apply.